Home > Certifications Resources > PMI PMP Certification > Why should one get PMP Certification? And what are its advantages? PMI is the leader and the most widely recognized organization in terms of promoting project management best practices. PMI strives to maintain and endorse standards and ethics in this field and offers publications, training, seminars, chapters, special interest groups, and colleges to further the project management discipline. 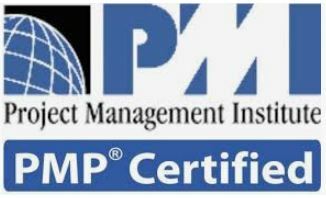 PMI was founded in 1969 and first started offering the PMP certification exam in 1984. PMI is accredited as an American National Standards Institute (ANSI) standards developer and also has the distinction of being the first organization to have its certification program attain International Organization for Standardization (ISO) 9001 recognition. PMI boasts a worldwide membership of more than 470,000, with members from 200+ countries and territories around the globe. Local PMI chapters meet regularly and allow project managers to exchange information and learn about new tools and techniques of project management or new ways to use established techniques. You can join a local chapter and get to know other professionals in your field. Why should you become PMP Certified? 1. It demonstrates proof of professional achievement. 2. It increases your marketability. 3. It provides a greater opportunity for advancement in your field. 4. It raises customer confidence in you and in your company’s services. PMP certification is a rigorous process that documents your achievements in the field of project management. The exam tests your knowledge of the disciplined approaches, methodologies, and project management practices as described in the PMBOK Guide. You are required to have many years of experience in project management before sitting for the exam, as well as 35 hours of formal project management education. Your certification assures employers and customers that you are well grounded in project management practices and disciplines. It shows that you have the hands-on experience and a mastery of the processes and disciplines to manage projects effectively and motivate teams to produce successful results. Many industries are realizing the importance of project management and its role in the organization. They are also seeing that simply proclaiming a head technician to be a “project manager” does not make it so. Project management, just like engineering, information technology, and a host of other trades, has its own specific qualifications and skills. Certification tells potential employers that you have the skills, experience, and knowledge to drive successful projects and ultimately improve the company’s bottom line. A certification will always make you stand out above the competition. If you’re a PMP credential holder and you’re competing against a project manager without certification, chances are you’ll come out as the top pick. As a hiring manager, all other things being equal, I will usually opt for the candidate who has certification over the candidate who doesn’t have it. Certification tells potential employers you have gone the extra mile. You’ve spent time studying techniques and methods as well as employing them in practice. It shows dedication to your own professional growth and enhancement and to adhering to and advancing professional standards. PMP certification displays your willingness to pursue growth in your professional career and shows that you’re not afraid of a little hard work to get what you want. Potential employers will interpret your pursuit of this certification as a high-energy, success-driven, can-do attitude on your part. They’ll see that you’re likely to display these same characteristics on the job, which will help make the company successful. Your certification displays a success-oriented, motivated attitude that will open up opportunities for future career advancements in your current field as well as in new areas you might want to explore. Just as the PMP certification assures employers that you’ve got the background and experience to handle project management, it assures customers that they have a competent, experienced project manager at the helm. Certification will help your organization sell customers on your ability to manage their projects. Customers, like potential employers, want the reassurance that those working for them have the knowledge and skills necessary to carry out the duties of the position and that professionalism and personal integrity are of utmost importance. Individuals who hold these ideals will translate their ethics and professionalism to their work. This enhances the trust customers will have in you, which in turn will give you the ability to influence them on important project issues.